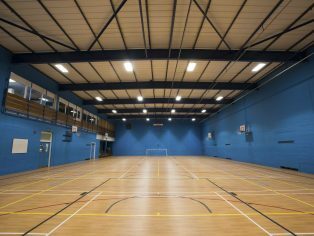 Luceco has recently supplied LuxBay LED luminaires to sports hall facilities at The Cleeve Sports and Arts Centre in Cheltenham. Lighting in the main sports hall had reached the end of its economic life. Key factors for Sean O’Reilly, Associate Building Services Consultant from Integrated Architecture based in Gloucester, was to specify replacement lighting with low maintenance energy efficient credentials that could utalise the fixed positions of the old fittings, and would also provide significant cost savings throughout the lifetime of the luminaires. Installed by Mike Evans, EIS Midlands of Gloucestershire, LuxBay offered a cost-effective alternative to the existing traditionally lamped luminaires. Suitable for mounting up to 10 metres, the LuxBay boasts 105 Luminaire Lumens per watt, is environmentally friendly and requires no maintenance over its lifetime. 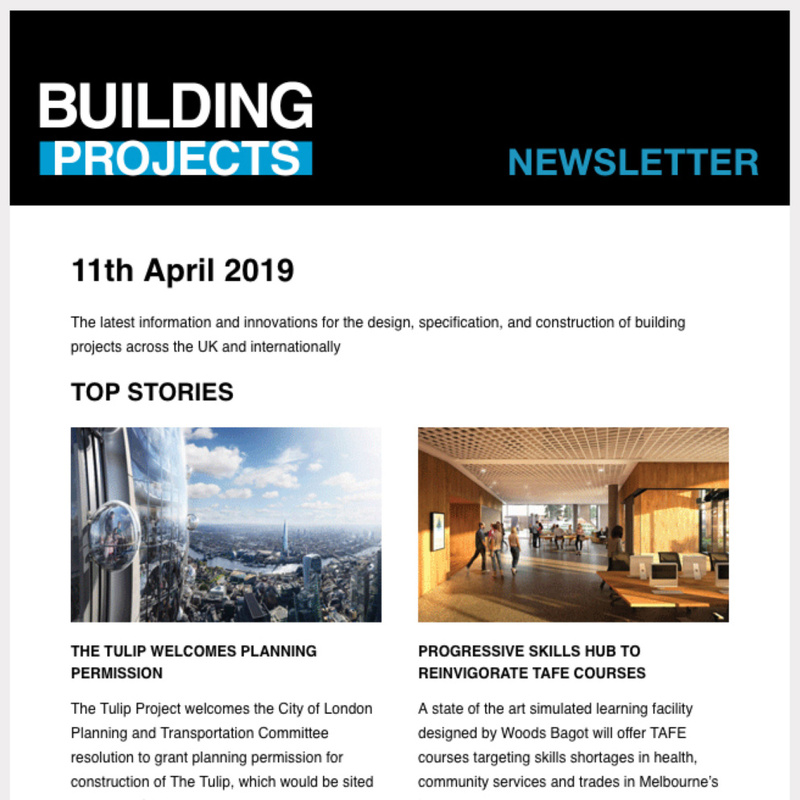 Mounting positions include surface, trunking or suspended and there are options of integrated presence and daylight sensors for use with fixed output or DALI dimmable control gear. Variants include 100, 150 and 200 watts, all with either a wide or narrow clear lens, offering over 50,000 hours of operational life and integral emergency variants are also available as well as attachments including flat wired guards and polycarbonate clear diffusers. The Cleeve Sports and Arts Centre offers a wide range of opportunities for the local community to participate in sport, health and leisure activities, their aim is to provide ‘Leisure for Life’. 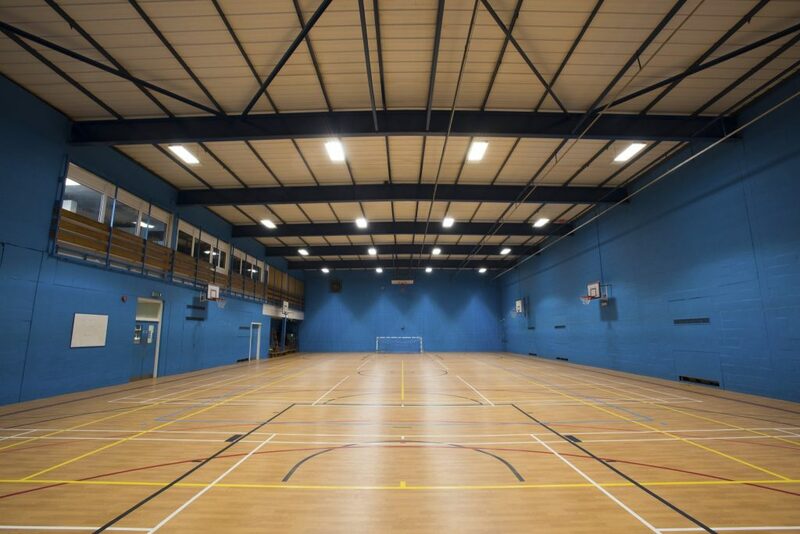 Luceco’s aim is to provide the end user with energy saving, cost-effective LED lighting, a financially healthy choice for Cleeve Sports and Arts Centre.